Full from my typically northern lunch of a Gregg’s pasty, surprisingly I knew where I wanted to head to next. With a lovely local ale in tow, I head upstairs to the function room of The Packhorse. Taking a seat while the band set up, I can immediately note they are minus a member. As well as this, I’m trying to figure out how it is possible to play on a stage the size that this one is. It soon becomes apparent. Somehow Apollo junction manage to dodge and swerve one another whilst releasing an electro-indie beat that automatically had you tapping your feet to. 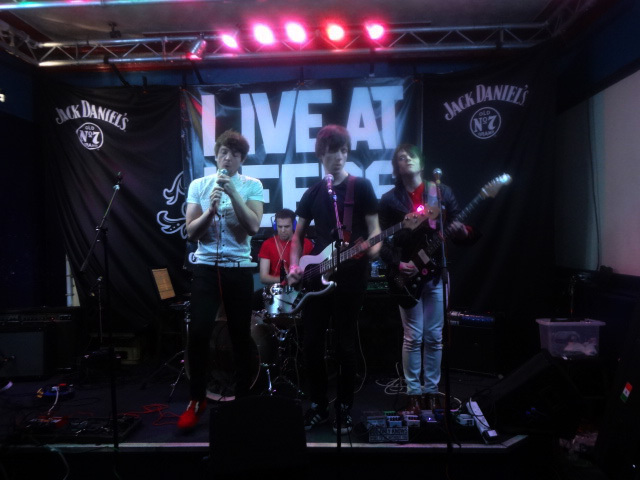 With catchy melodies of ‘Such a Carry On’ and ‘Here Come The Zombies’ filling the room, it’s these infectious tunes that have seen Apollo Junction receive nationwide recognition. 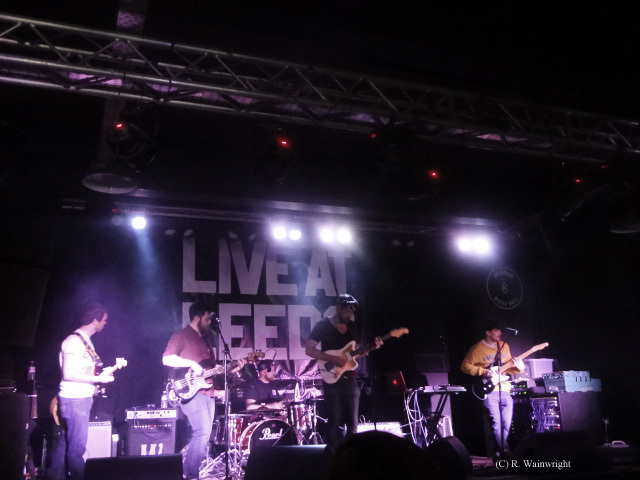 Bringing the beats down a gear, ‘If I Fell’ (Which saw the band received radio airplay from the likes of Graham Norton) is strong guitar-infused indie (Think Shed Seven crossed with Biffy Clyro). With their constant upbeat manner (Including climbing up onto the seats and twirling around the array of wires) you could completely hate music and it would be impossible to dislike this band. Yes they are that infectious.You’d be foolish not to listen to them. A little later than hoped for (due to bizarrely losing the ability to edit my WordPress!) 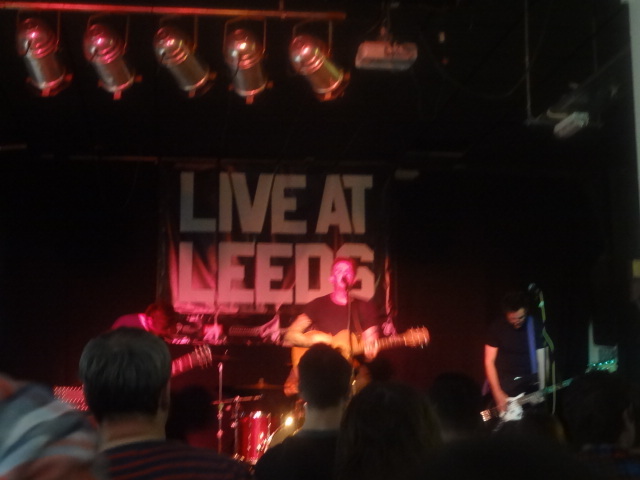 the rest of my Live at Leeds review will be on here shortly. In the meantime, I pondered and then requested a ‘Gig Maker’ toolkit from Oxfam for their annual Oxjam Festival. Wanting to put little ol’ Horsforth on the map a bit more, any suggestions as to where this can be held (I’ve a few ideas knocking around) and if you’d like to play in an event like it, let me know. Just at the very start of the pipeline for now but it’s best to be prepared eh?